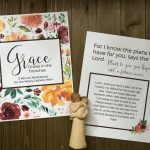 Total Consecration to Jesus Through Mary – and a giveaway! 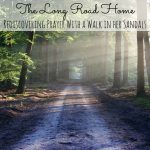 I’m joining three other fabulous bloggers to help you make your Total Consecration to Jesus Through Mary. Giveaway at the bottom of the post! My mother is not a cradle Catholic. She grew up in the rural south as a member of the Christian Church. Her conversion came when I was about two years old. The Church’s devotion to Mary was difficult for her to grasp. 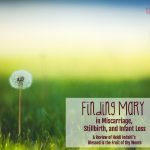 Misconceptions about Mary and the Church abound, and she had heard no shortage of them growing up. But my mother developed a relationship with Mary as an intercessor through their mutual vocation of motherhood. 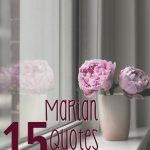 Because Mary was a mother, my mother felt comfortable asking her to pray for my sister and me – for our protection, our happiness, and our holiness. Like many converts, she learned the misconceptions regarding Mary and the Church weren’t true. Catholics don’t worship Mary. Catholics don’t pray to Mary. Rather, we honor Mary, we venerate Mary, and we ask Mary to pray for us. Mary is a powerful intercessor. I knew this as a child courtesy of my mother, but I didn’t fully appreciate it until I had my own son. The mother/son bond is different. While it is not better than the bond I have with my daughters, it is more intense. It maintains a mixture of mutual adoration and protection with a ferocity I was not anticipating. 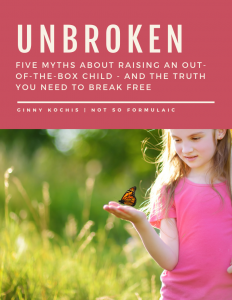 Judging from conversations I’ve had with other moms of boys, it seems to be a common phenomenon. And since Jesus was both fully divine and fully human, it follows his relationship with Mary would have been much the same. That much is clear in Scripture, from the moment they find Jesus lost in the Temple (“Your father and I have been searching for you in great anxiety“), to the wedding at Cana (“Do whatever he tells you“), and to the moment Jesus hands his mother over to John (“Here is your mother“). The bond between Jesus and Mary allows us to move through her to him, and through him to the Father. 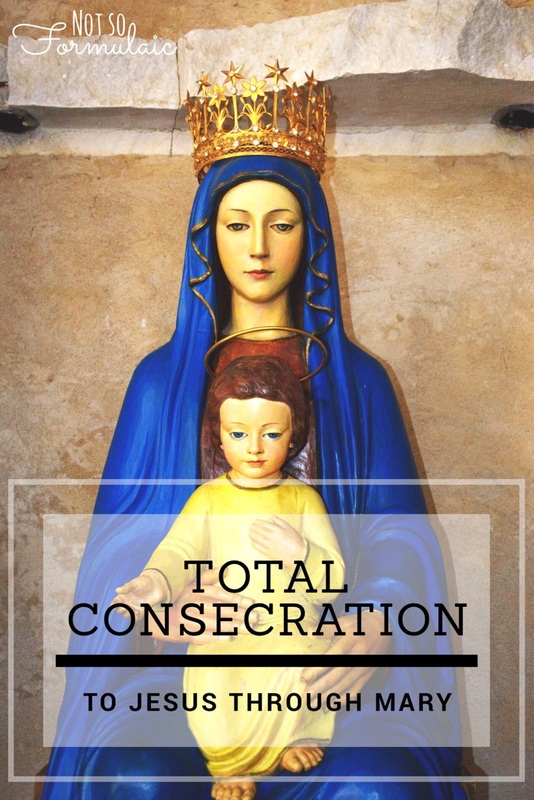 It was a deep longing for union with Christ which led me to my first consecration: St. Louis de Montfort’s Total Consecration to Jesus through Mary. 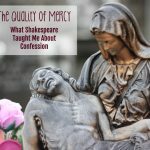 St. Louis explains it as “surrendering oneself in the manner of a slave to Mary, and to Jesus through her, and then performing all our actions with Mary, in Mary, through Mary, and for Mary” (The Secret of Mary, No. 28). For 33 days, I followed St. Louis de Montfort through prayer, study and examination of conscience designed to unite myself to her example. On the 34th day, I surrendered myself to the heart of Jesus through the intercession of his most holy mother. 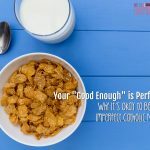 It is a process I have since repeated with my husband, and one I hope to do again with my children when they are older. Like my own mother is to me, Mary is a comfort, an ally, and a role model. She walks beside me in my motherhood and inspires me in my womanhood. She is an invaluable resource in our Catholic faith, and I am grateful for her intercession. St. Louis de Montfort isn’t the only author of a guide to consecration. Fr. Michael Gaitley has written 33 Days to Morning Glory: A Do-It-Yourself Retreat in Preparation for Marian Consecration. He’s also written two other books I’m dying to read: Consoling the Heart of Jesus and “The One Thing” is Three. You can win a copy of all three books! 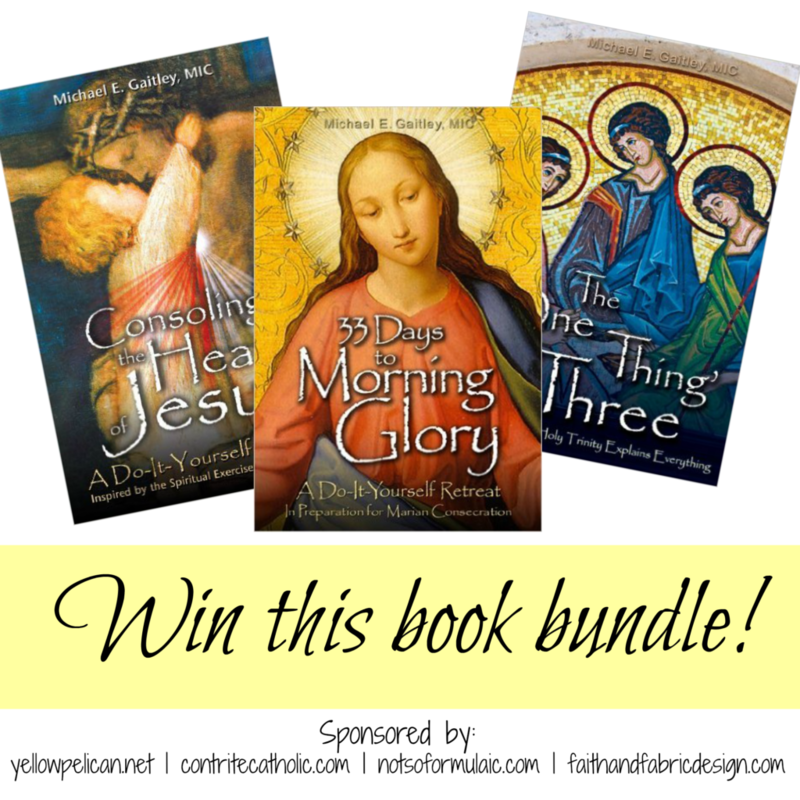 I’m joining Ang from Yellow Pelican, Rosalie from Contrite Catholic, and Jen from Faith and Fabric Design in a book bundle giveaway. The giveaway is open till Friday, August 5, so go ahead and enter below!